One of the greatest magic tricks you'll ever see is formally known as 'The Berglas Effect' or 'Any Card at Any Number' and it's easy to see where both of those names came from. 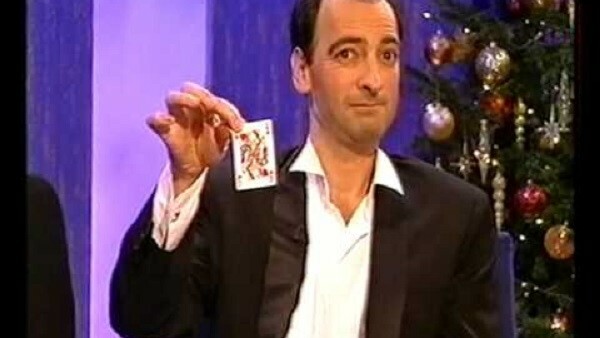 The illusion was invented by David Berglas and it entails him producing a specific card requested by a member of the audience without even touching the deck. To be precise, a pack of playing cards is handed to a random spectator. A second audience member is asked to name any card in the deck, and a third participant is told to pick a number between one and 52. Let's says the Queen of Hearts is selected along with the number 25. When the audience member tasked with holding the pack cycles through the cards, the 25th one will be the Queen of Hearts. It's mind-blowing stuff, and only one person in the world besides Berglas knows how the trick is performed: his close friend and apprentice Marc Paul. Magicians are known to keep the intricacies of their best tricks under wraps, because magic tricks are not protected under intellectual property law. Once the rabbit is out of the hat, other illusionists are free to reproduce the trick whenever they please.